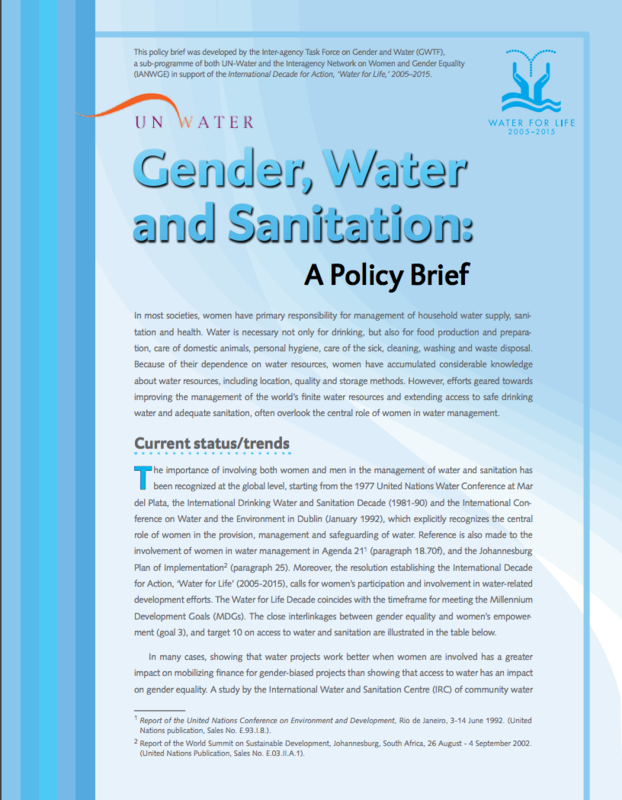 In most societies, women have primary responsibility for management of household water supply, sanitation and health. Water is necessary not only for drinking, but also for food production and preparation, care of domestic animals, personal hygiene, care of the sick, cleaning, washing and waste disposal. Because of their dependence on water resources, women have accumulated considerable knowledge about water resources, including location, quality and storage methods. However, efforts geared towards improving the management of the world’s finite water resources and extending access to safe drinking water and adequate sanitation, often overlook the central role of women in water management.